When you keep flexible task management tools in view and easy to understand by everyone on your team it means you will run smoothly and efficiently every day. 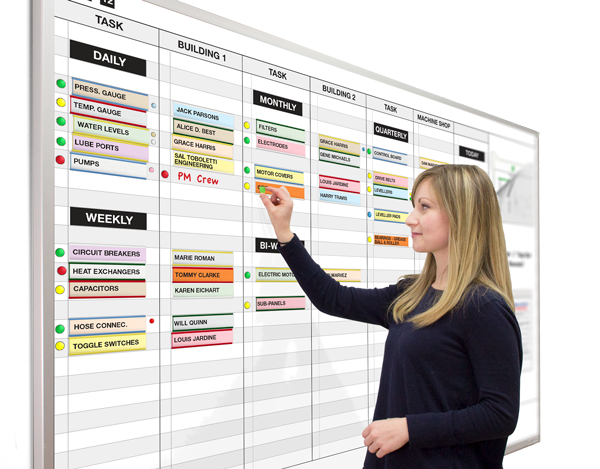 Our whiteboard systems are ideal for visualizing personal or company-wide tasks, keeping track of short and long-term projects, assigning work to teams or individuals, and managing time in detail throughout the month. We at Magnatag® are the leading source for all of your task management needs.